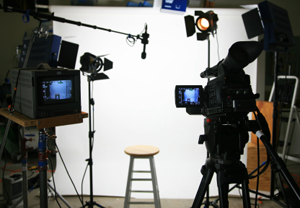 A video on your website can bring your products or services to life – and make them sell! Its no secret that recent advances in technology for the filming of digital video have made the creation of online video content one of the fastest growing trends online. Development in software and computer processing has also reduced the cost of using professional audio visual services to a fraction of what they were ten years ago. Now, more than ever it is not only more affordable to tell your story with online video, it is essential. At Internet Agency we work with Digital Productions (www.digitalproductions.co.nz) a specialist in online video production and together ensure that you develop the right video message for your strategy. A professionally produced video or videos will add considerable value to your website’s communication effectiveness and help with your Search Engine Optimisation. Once you have produced your video, the next step is to maximise the number of people who view your video, and to make sure your web video proves itself as a selling tool. Internet Agency will work with you to create a web marketing plan that not only gets people to watch your video, we can also get them to respond using our Sell IT ™ platform. This interactive player ensures your video acts as the powerful selling tool it is. Submit your video to popular video sharing websites such as YouTube, Google Video, Yahoo! Video, Metacafe and more. Your very own business, product or service video – filmed, edited and posted on your website. View some video examples, then contact us for a free quote. Why get a video of your business? Well, having a customer view a walking, talking presentation is just one step away from actually being there with them. It is the closest you will get to personalised selling, at a fraction of the cost. Also, with recent advances in technology, it’s now more economical to have an audio visual story made of your business. With the explosion of video downloads on the internet, your customers are waiting to view your production. EZYCASH Gold Buyers – been providing its clients with short term loan solutions and the best Gold Buying price consistently for years. From balloons to bunting, costumes to crepe, at Champers Party Shop we have an enormous range of accessories for you to choose from to make your special occasion a memorable one. Positioned behind security gates on its own peninsula overlooking the Manukau Harbour, this palatial home was specifically designed to capitalise on the magical position and take full advantage of the sublime 270 degree water views. Mulch blowing – landscape, motorway, playgrounds and equestrian. Whether it is for a school playground, large landscape job, motorway or infrastructure project, even an equestrian ring, the process of distribution of mulch, bark and bio mixes by way of the blower process allows for a quicker, more even distribution. Reharvest® Timber Products provides a wide range of products such as Cushionfall® and Cushionride®, aswell as their famour Enviromulch®. Internet Agency updated the look of their site as well as web videos to promote their products. EZYCASH Loans Licensed Pawnbrokers & Gold Traders. Established over 15 years ago EZYCASH has been providing its clients with short term loan solutions and the best Gold Buying price consistently for years.